Jean-Honore Fragonard (French, 1732-1806). 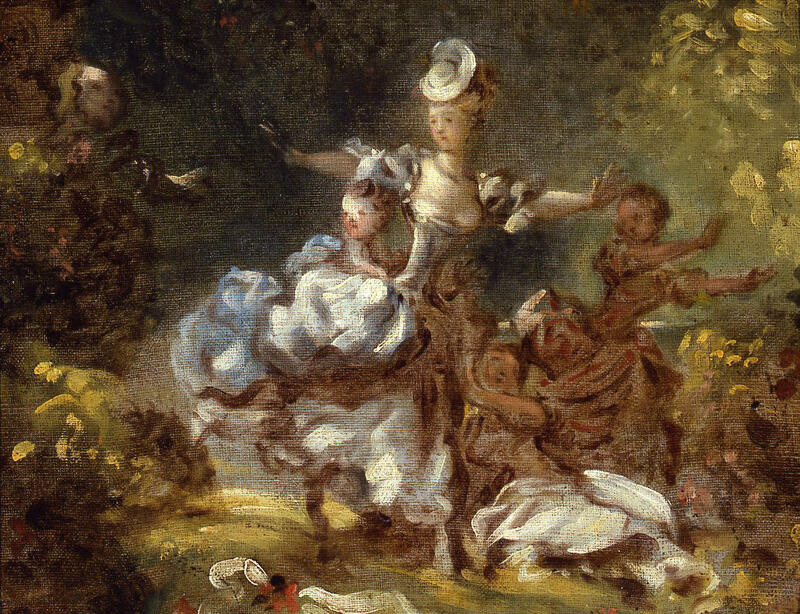 Study for the Pursuit Panel of the Fragonard Room, 1771. Oil on canvas, 11 x 14 in. Frick Art & Historical Center, Pittsburgh, 1973.2.